Alabama plans to use a $1.2 million federal grant to expand a program aimed at getting the state’s unemployed back to work. The Alabama Department of Labor announced the grant in a statement yesterday. Agency officials say money from the U.S. Department of Labor will expand a program that provides one-on-one counseling services to people receiving unemployment benefits. The program provides intensive counseling to help people rejoin the workforce. Nearly 7,000 people have participated over the last year, and that number is expected to jump to 10,000 with the new federal assistance. State workers will be identifying people most likely to run out of unemployment compensation and those who are receiving benefits as military veterans. The counseling services will be provided at unemployment offices around the state. Thousands of people will be on the road throughout Alabama this weekend for Fourth of July celebrations. An estimated 42 million people nationwide will be traveling fifty miles or more during the holiday weekend. AAA Alabama spokesman Clay Ingram says residents should expect an increase in traffic and should plan their trips accordingly. Ingram says water destinations and the country's national parks will be popular destinations, so plan accordingly and give yourself plenty of time to arrive. Safe driving will be essential during this holiday weekend. A former star of the Alabama Crimson Tide was in Tuscaloosa today on behalf of Nike. Oakland Raiders player Amari Cooper helped cut the ribbon on the new Nike Factory story in T-Town’s Midtown Village this morning. Hundreds of people lined up outside to get a glimpse of Nike’s first college-town factory store to grab a deal on shoes and other apparel. Zoe Krislock is the Vice President of Nike’s Factory Stores in North America. She says the decision to open a store in Tuscaloosa was a no-brainer. Amari Cooper mingled with fans and signed autographs after the ribbon cutting. 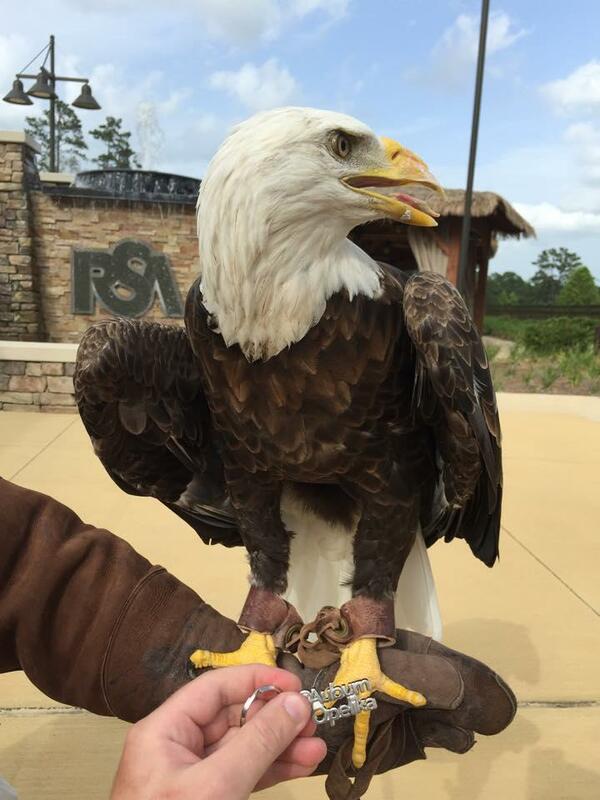 A bald eagle from Auburn's Southeastern Raptor Center in Alabama is set to make its debut at Zoo Atlanta soon. Zoo officials say the eagle is being kept out of public view for now during a quarantine period, but is expected to be on display for the public by mid-July. Zoo Atlanta President and CEO Raymond King says the eagle has been rehabilitated and would not have been able to live independently in the wild. Officials say the zoo was able to acquire the eagle from Auburn through a $10,000 crowdfunding campaign. The campaign paid for the federal permit to house the eagle, expenses associated with transport from Alabama, the cost of setting up a habitat and more. Alabama Public Radio's morning newscast for July 3, 2015.